CARLSBAD, CA (APRIL 4, 2017) – Upper Deck, the premier worldwide sports and entertainment collectibles company, together with the National Hockey League Players’ Association (NHLPA) has revolutionized the collectibles industry once again with the groundbreaking Grandeur Hockey Coin Collection. The first series of limited-edition coins are minted in one of four finishes of precious metals and feature 20 superstar hockey players. The new collection of coins will be available for purchase through Upper Deck e-Pack®, as well as all Canadian Imperial Bank of Commerce (CIBC) banking centres in Canada and via CIBC.com/UpperDeck beginning April 5, 2017. As the demand for rare coins continues to grow, Upper Deck is bringing a new, exciting and unique element to the world of coin collecting with tried and true “blind bag” packaging; meaning that consumers will not know which finish or player they have until the sealed package is opened. “No one has presented anything like this for the coin business, adding a layer of anticipation that appeals to varying levels of collectors,” added Masherah. The collection includes 1 oz. 99.99% pure silver coins available in three finishes and rarities: coloured, numbered to 5,000; high-relief silver, numbered to 1,000; and silver frosted, numbered to 500, per player. There is also a more rare ¼ oz. 99.99% 24-karat gold minted coin, numbered to just 100, per player. The 20 players include Hall of Famers Wayne Gretzky and Patrick Roy, as well as current superstars Connor McDavid, Sidney Crosby, Alex Ovechkin and Henrik Lundqvist, among others. Grandeur Hockey Coins may be purchased individually in a sealed blind pack for $100 or as a collector box with four randomly inserted coins for $499. The collector box includes one of three rarer coins and comes with a display that holds up to 20 coins. “CIBC is excited to be the exclusive Canadian distributor of these gold and silver coins that highlight the hockey heroes of our past and our future,” explained Kam Dhadwar, Executive Director, Alternate and Retail Solutions Group, CIBC. To purchase Grandeur Hockey Coins, visit www.UpperDeckePack.com or CIBC.com/UpperDeck. For more information about the new coin collection, visit www.HockeyCoins.com. 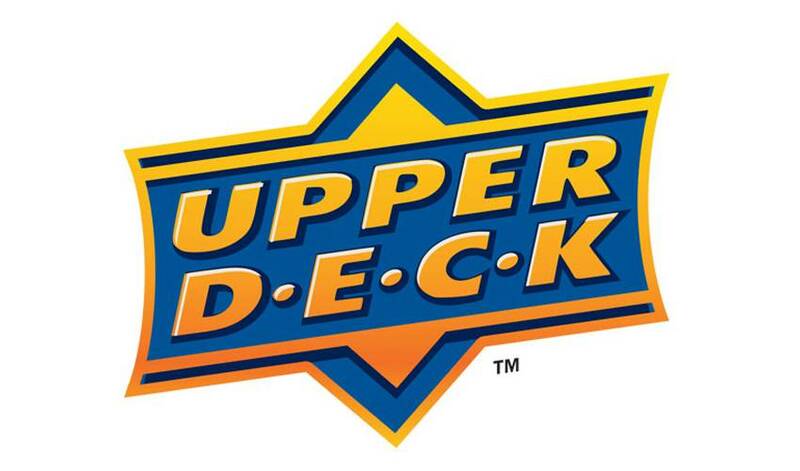 Upper Deck, headquartered in Carlsbad, Calif., is a worldwide sports, gaming, and entertainment company built on the pillars of quality craftsmanship, authenticity and innovation with a dedication to creating products that turn memorable moments into collectibles. Upper Deck is the exclusive provider of professionally licensed hockey trading cards, and is home to the world’s greatest athletes including Connor McDavid, Michael Jordan, Wayne Gretzky, Tiger Woods and LeBron James. The National Hockey League Players’ Association (NHLPA), established in 1967, is a labour organization whose members are the players in the National Hockey League (NHL). The NHLPA works on behalf of the players in varied disciplines such as labor relations, product licensing, marketing, international hockey and community relations, all in furtherance of its efforts to promote its members and the game of hockey. In 1999, the NHLPA launched the Goals & Dreams fund as a way for the players to give something back to the game they love. Over the past 16 years, more than 70,000 deserving children in 34 countries have benefited from the players' donations of hockey equipment. NHLPA Goals & Dreams has donated more than $23-million to grassroots hockey programs, making it the largest program of its kind. For more information on the NHLPA, please visit www.nhlpa.com. CIBC is a leading Canadian-based global financial institution with 11 million personal banking and business clients. Through our three major business units - Retail and Business Banking, Wealth Management and Capital Markets - CIBC offers a full range of products and services through its comprehensive electronic banking network, branches and offices across Canada with offices in the United States and around the world. Ongoing news releases and more information about CIBC can be found at www.cibc.com/ca/mediacentre/ or by following on Twitter @CIBC, Facebook (www.facebook.com/CIBC), Instagram @CIBCNow and LinkedIn (www.linkedin.com/company/cibc).